These fireball fuchsia Astrobrights covers are designed to get noticed every time--making Astrobrights covers ideal for producing presentation covers, scrapbook pages, posters, flyers, greeting cards, and more! The fireball fuchsia Astrobrights covers are acid and lignin free as well as FSC and "green seal" certified. 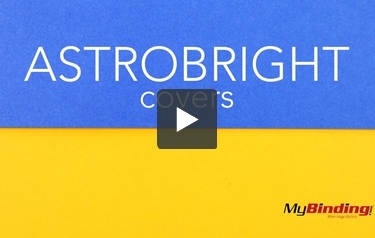 The fireball fuchsia Astrobrights covers are laser and inkjet guaranteed. With more than 200 varieties to choose from, you're sure to find the exact cover you need! Our window covers have a 1.75" x 4" window that is centered on the front cover 3" from the top edge. These covers can be ordered pre-punched in your preferred binding pattern* (see list below).